For the past 14 years, Grey's Anatomy has been making fans laugh, cry, fear, and just fall madly in love with Shonda Rhimes for being such an awesome producer. With its latest episode, the medical drama has created a new record. Grey's Anatomy is now the longest-running medical drama on TV. The title was previously held by ER, which starred George Clooney. Krista Vernoff, who has been around since early seasons of Grey's Anatomy and took over the showrunner's responsibilities in season 14 has said, "We owe a huge debt of gratitude to ER — without it, Grey's wouldn't exist. We have surprised everybody — and ourselves. The staying power is amazing." Grey’s Anatomy Becomes More Inclusive, Adds Alex Landi As First Gay Male Surgeon to the Roster. Ellen Pompeo plays the lead role - she has been for the past 15 seasons - and is ecstatic. "The fact that we're still the network's No. 1 drama and can stay afloat in this landscape after 15 years is incredible," Ellen told The Hollywood Reporter. "It's also incredible in a larger sense because it's something that I resisted [and] that I said I would never do." Sandra Oh's 'Grey's Anatomy' Co-stars Express Happiness After Her Golden Globes Win. 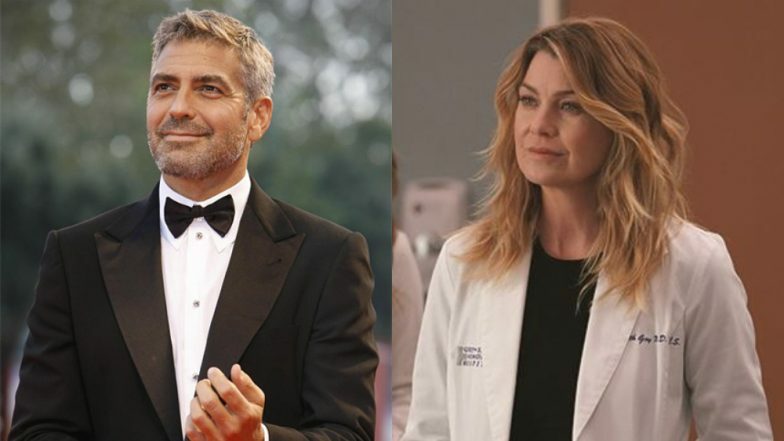 The Hollywood Reporter also reports that when George Clooney, member of the main cast of ER, was told about Grey's Anatomy's feat, he joked, "That's got to stop,"
"We've got to go back and do some more," he added. Shonda Rhimes has moved on to Netflix now. It can never be underestimated what she did with Grey's Anatomy. She gave the audience a show that is emotionally compelling yet so unimaginable strong that no other TV show for a long time will come close to its perfection. More power to Grey's Anatomy.